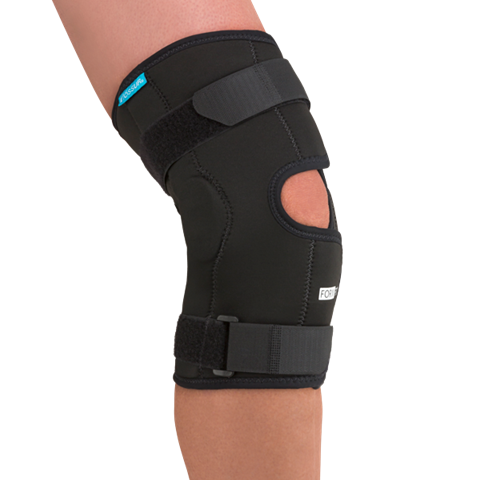 The Formfit® Knee brace is for patients suffering from mild to moderate strains, sprains or ligament tears (ACL/PCL/MCL/LCL). It provides excellent stability, protection and compression during injury recovery. Made from strong, breathable materials, it offers comfort while remaining highly durable. The open popliteal area reduces material bulging and potential irritation, while the malleable rigid hinge arms provide an intimate fit. Available in a wrap or sleeve version.